And I think I have a new favorite shot… would you believe this was like the last shot we took and we get this smile! karen - That picture is beautiful! Teri Mason - I love this – and it’s NOT an easy shot! I’ve tried several times w/no success. Congrats on nailing the shot AND getting a smile – bonus!! Danna - These are so sweet. Love the little crossed arms and the hint of a smile. 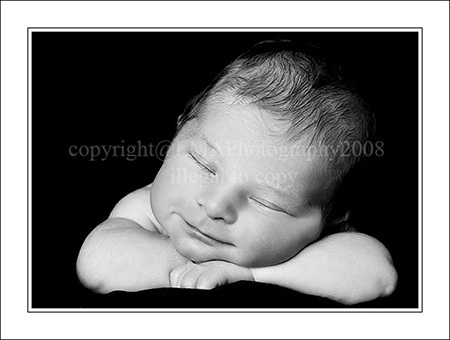 Lisa - Oh I love those newborn sleepy smiles! Awesome image!